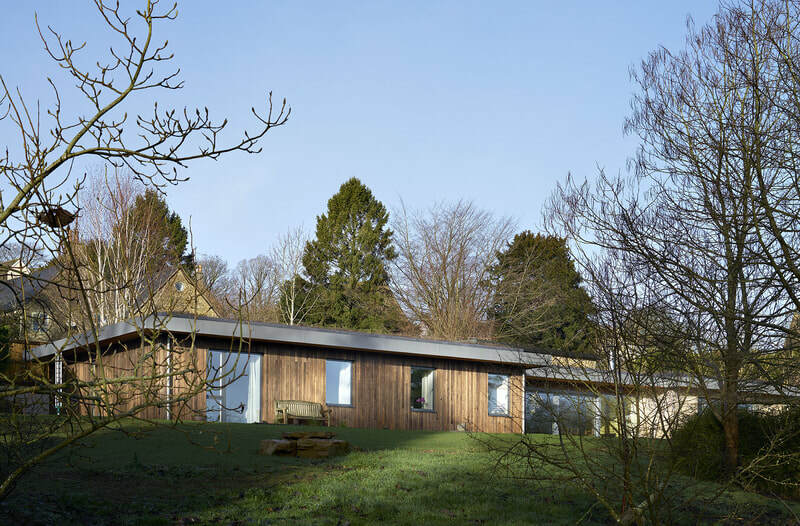 A contemporary, well-insulated home built into the Gloucestershire hillside. 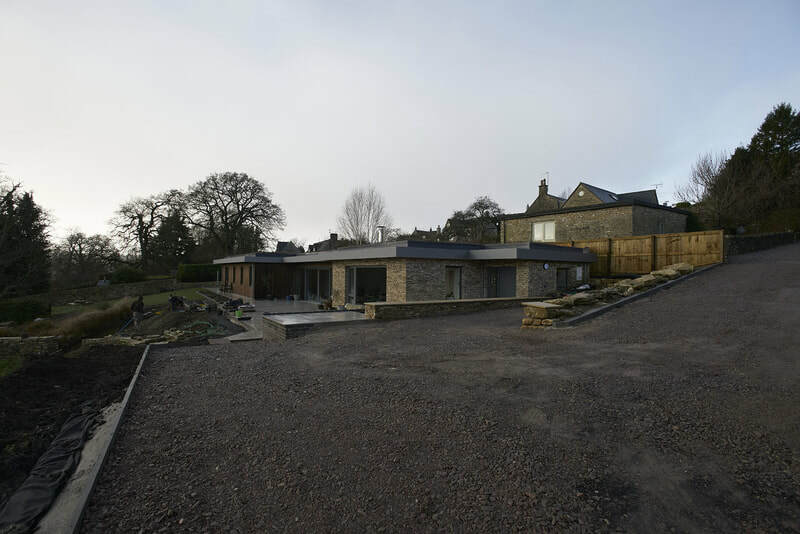 With the original design and planning permission undertaken by Millar Howard Workshop, we were asked to continue the work on a Design & Build basis. Designed for minimal visual impact and comfortable open-plan living with good garden access, the house is single-storey and built into the hillside. 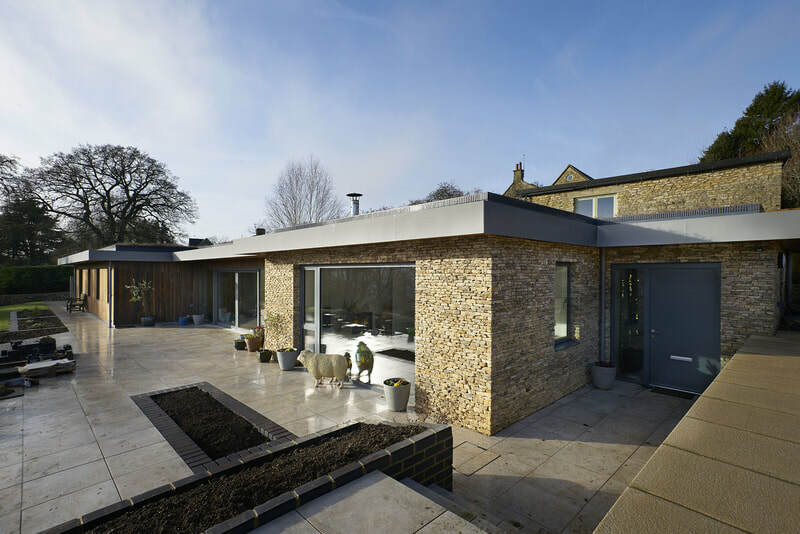 Finished in local Cotswold stone and charred timber cladding with a sedum roof, the materials help the house to blend into its surroundings. 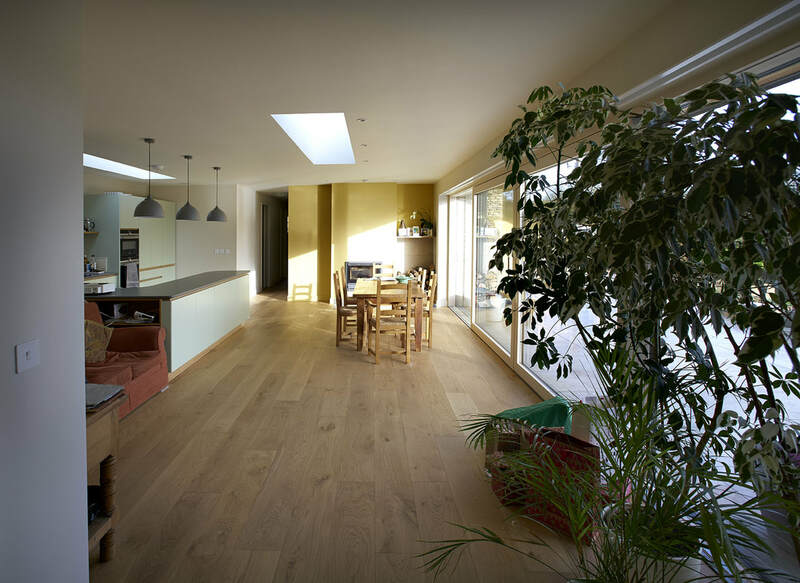 The design is unashamedly contemporary with lots of glazing, sharp details, open plan living and large roof lights to bring a light and airy feel to all areas. 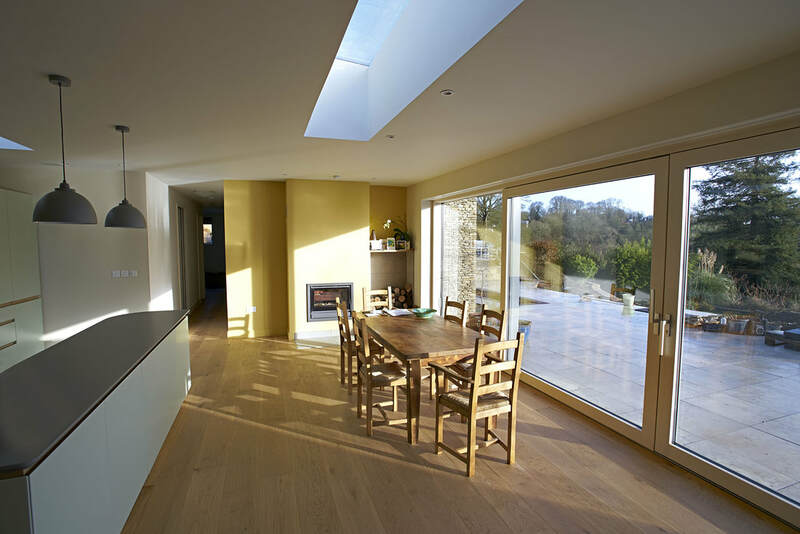 The roof overhang keeps the weather off the walls and provides some important shading to the large glazed areas. 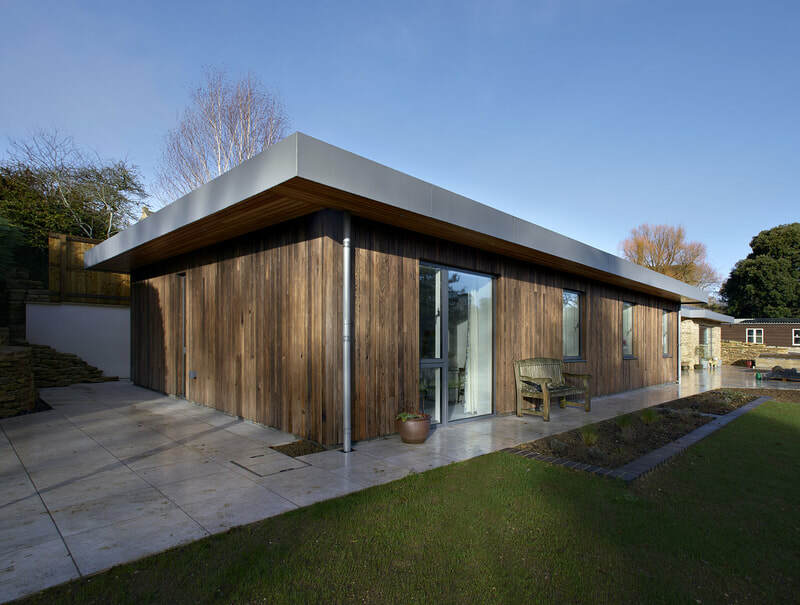 The clients wanted a very well insulated house with heat recovery, but without the extra cost and potential design limitations of going down the certified Passivhaus route. 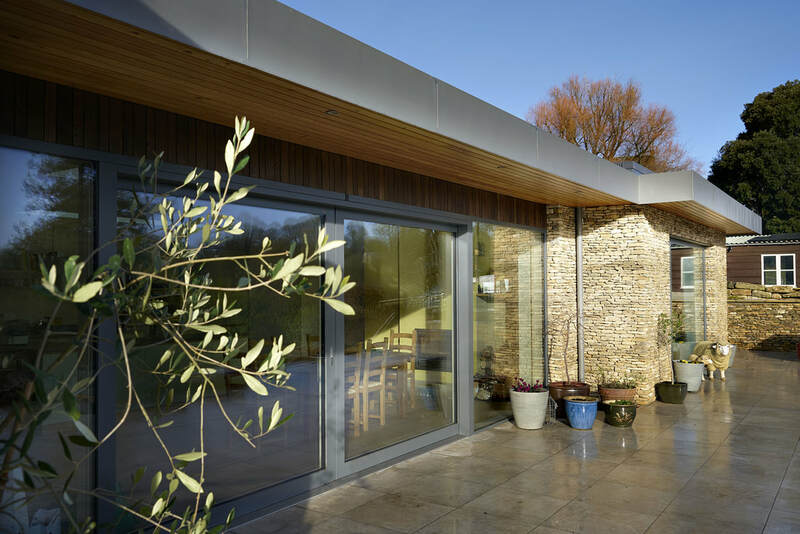 Built on a tricky sloping site in the clients garden, accessed via a narrow track meant that the whole job was a logistical challenge. 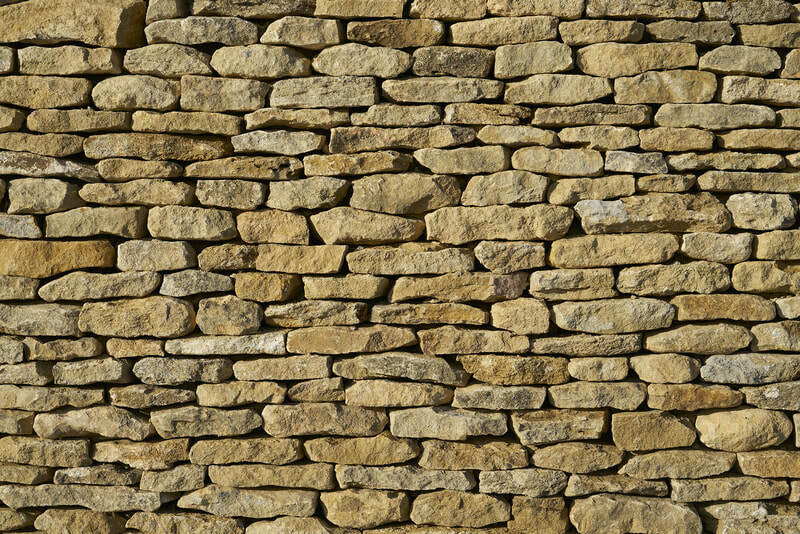 The foundations and retaining walls are reinforced concrete with trench fill and raft elements. 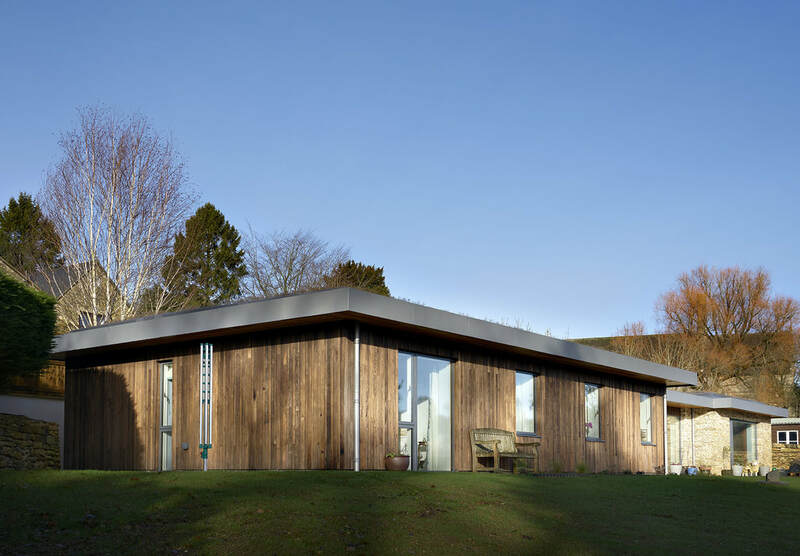 The house structure is timber frame, built on site with 300mm I-beams. The roof is a combination of I-Beams, Glulam and Kerto timber with steel beams used only over the largest spans. The walls are insulated with WARMCELThermal insulation with 18mm sarket wood fibre board externally and airtight 12mm OSB internally. Airtightness was achieved with the use of SIGA membranes and tapes and tested at 0.8ACH @ 50 pascals. 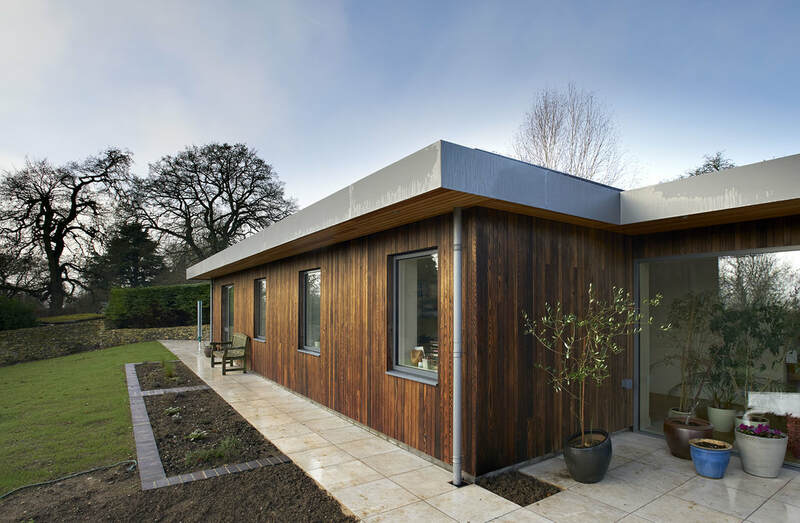 The large windows and doors are supplied by Internorm and the smaller windows by Ideal Combi. 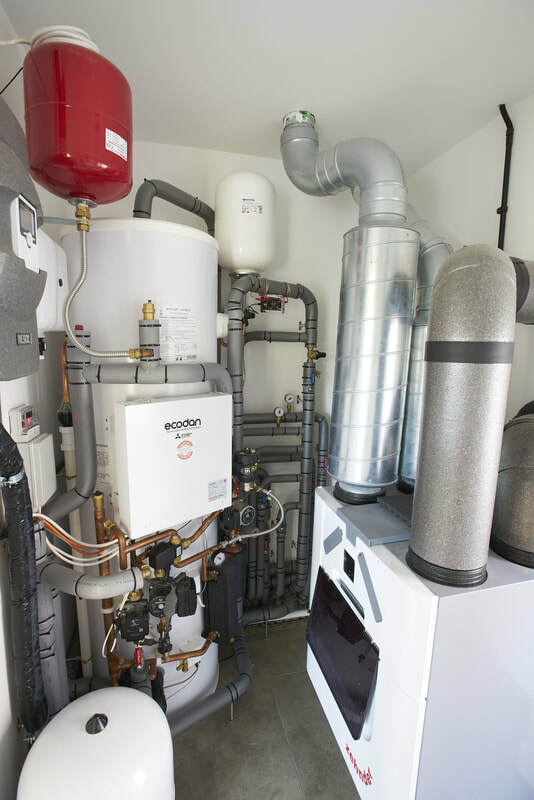 The Mechanical Ventilation & Heat Recovery system (MVHR) was designed by the Green Building Store using a Zehnder unit and Lindab rigid ducting and installed by Greenheart. 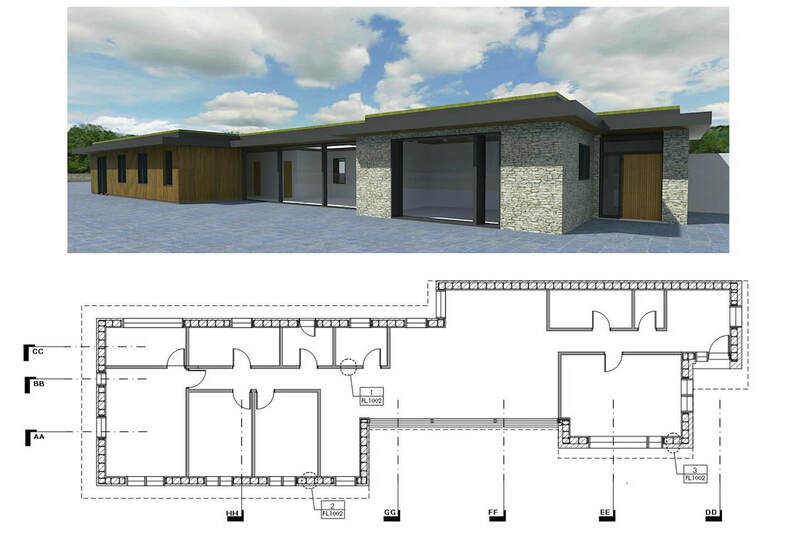 Energy for the building is supplied by a combination of Air Source Heat Pump (ASHP), solar thermal evacuated tubes and Photovoltaic (PV) panels connected to a Tesla Battery. This package of work was undertaken by The GreenShop in Bisley. Combined with an occasional use room sealed, double sided wood burning stove means the house should be self sufficient in energy over the year. 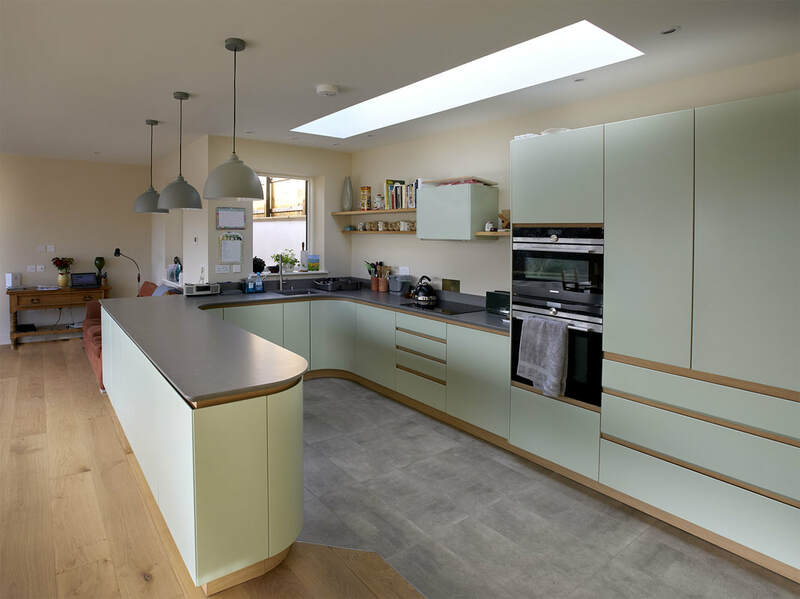 Internal finishes include engineered Oak floor boards, ceramic floor and wall tiles and bespoke fitted kitchen and cupboards. 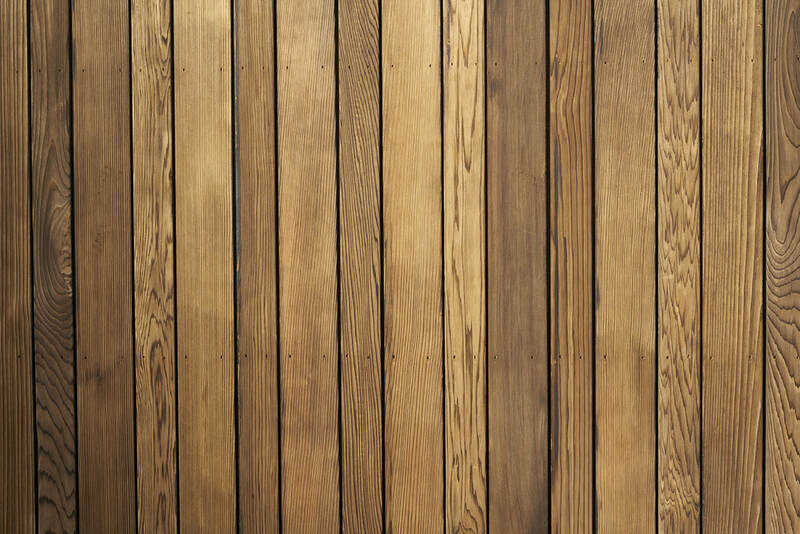 ​"From first meeting Richard we felt we could work with Greenheart. The team were friendly and easy to get on with, consulting us at every stage. The house was pretty much completed according to the schedule first drawn up, with great efficiency in terms of project management. 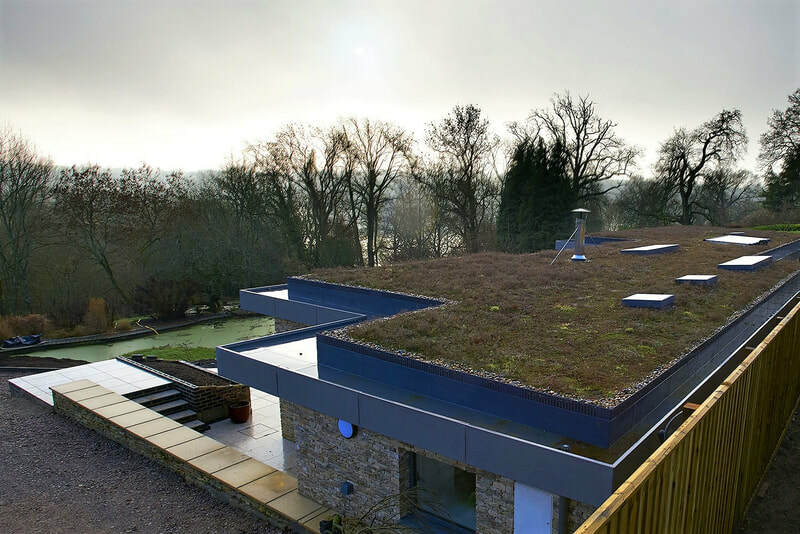 Probably most important however was the quality of the build - we are so pleased with our new home, with all its eco features."